When I graduated from Dartmouth three years ago, Ellen Sirleaf Johnson was tapped to share with us the wisdom she’d gained as the first female president of an African nation. Instead, for her commencement address, she decided to share with us wisdom we’d heard a million times before: she quoted Mother Teresa, MLK Jr., Gandhi. 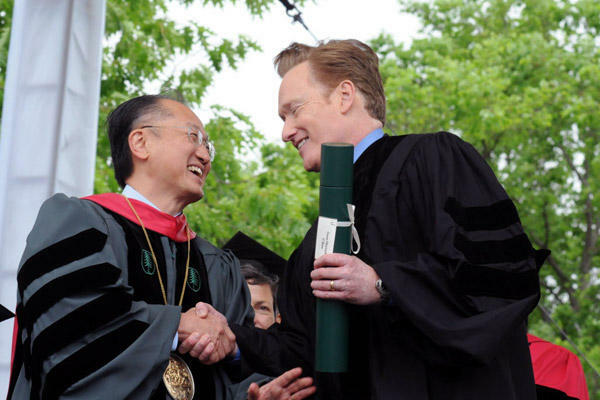 The rest of Conan’s address was in turns hilarious and serious, the kind of speech that would not, unlike Sirleaf Johnson’s address, put a person to sleep (it was hot, ok? And I was wearing black!) When it comes to imparting wisdom, a very funny person is always more adept than a Very Distinguished Person. In seventh grade I took a improv theater class. We had a great teacher who seemed to live as if in a continuous sketch (he brought his cordless phone to school and kept checking for reception, impervious to our objections that cordless phones do not act like cell phones). What’s more, he thought I was funny. 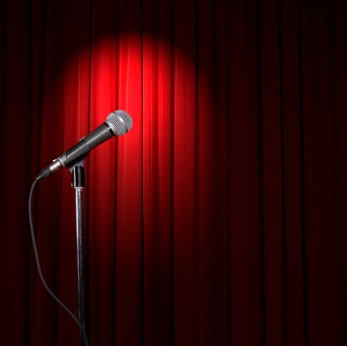 My friends and family knew me to be funny, but his judgment seemed like real validation. Thinking that I’d found a new outlet for my creativity, I continued with improv theater in eighth grade. The old teacher was gone, though, on paternity leave (he’d carried his cordless phone around when his wife was close to her due date), and we had a new teacher and a huge class. This new teacher had a method of mentally narrowing down the class: boys had the potential to be funny, while girls did not. It’s hard to get noticed in a group of forty when you’ve already been cancelled out. For spring break of my senior year of high school I went to New Orleans with some friends. We saw alligators in the swamps, ate beignets at Cafe du Monde, and went on a ghosts-of-New Orleans walking tour. Being a senior in high school, though, I had one thing on my mind: college acceptance. At that point I had only heard back from one of the eight schools I applied to, and was very anxious to find out answers from the rest. Thus, I got my fortune read. 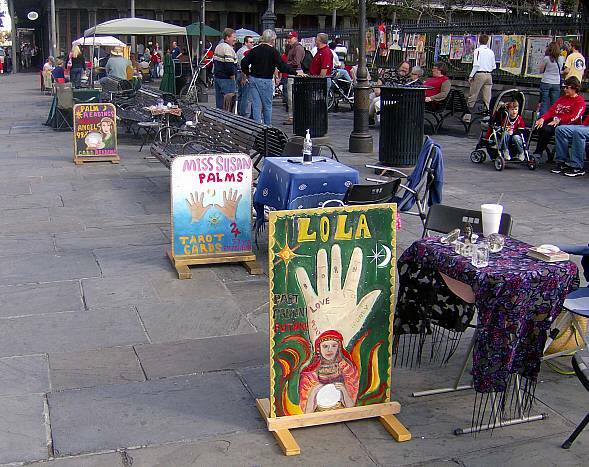 My friends and I went to fortune teller row on Jackson Square in front of St. Louis cathedral. Dozens of women wearing bangles and scarves and thick eye makeup sat with their hands motioning dramatically over crystal balls. In their midst sat a clean-shaven man dressed in khakis and a white button-up shirt. “You want your fortune read,” he said to us, calmly. I couldn’t tell if it was a question or a command (or perhaps he had read our minds! It’d be quite a feat to predict that someone wants their fortune read when wandering among fortune tellers). We sat down and he read my palm and my friend’s palm. He told me a lot about my life–all generally good, so good that I kind of tuned him out. But then I asked about colleges. He took out his Tarot cards for this one. He set out three cards for each of the eight colleges I applied to and looked over them. “You would be very successful here,” he said, pointing at the cards for Swarthmore College, “and here you would be very creative,” pointing at Amherst. “This one would be stifling,” he said about Yale. Then he pointed at the cards for Dartmouth. “This is the college you’ll go to.” My heart leapt at those words. I badly wanted to get in to Dartmouth, and his prediction that I would attend it made me optimistic. I knew it was ridiculous to assume that I would get in because a fortune teller in New Orleans told me so, but still I hoped. When April 1st came around that year, I found out that I had indeed gotten in to Dartmouth. I also got into a few other schools, ones that I had loved on my initial tours, but I ended up picking Dartmouth. Embarrassing as it is to admit, I’ve always wondered if the fortune teller played a role in that choice. Okay, I got the sun again today: that's definitely good, right? 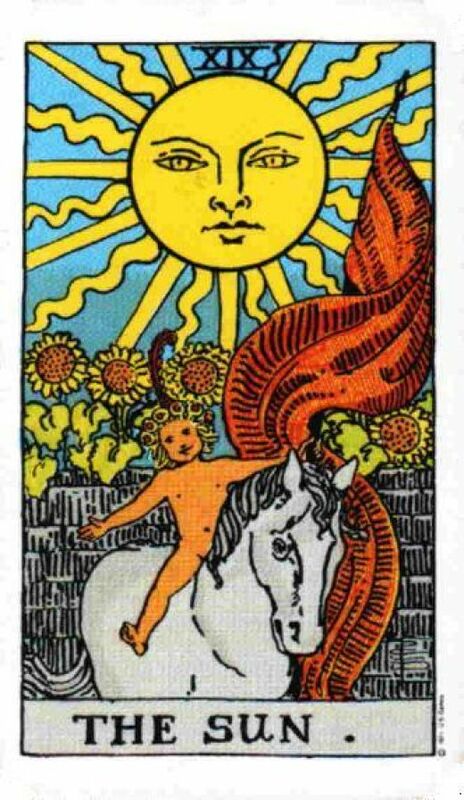 Earlier this year I started reading Tarot cards that my brother gave me for a long-ago birthday. I’d never been too interested in them before, but the first few months of 2011 were filled with uncertainty for me. I was searching for jobs and holding out hope for good news. Every morning for about two months I’d read a spread of seven cards. The prevalence of “good cards” those two months would made me think Today’s the day I’ll hear back from that interview or If I send my resume in now I’m bound to have good luck. But the good news predicted by my cards did not, in that time, come to fruition. And so I gave up Tarot. Just a month later I finally had a successful interview, and am now working at a fabulous job–all without the cards letting me know ahead of time (I say this in ridicule of my slightly former self: the future will happen whether we have sufficiently planned for it or not). From these two anecdotes I understand that I turn to fortune telling when my future is at its haziest. This is logical, I suppose (if there’s any logic to be found in fortune telling). Fortune telling is a desire for the universe to reveal its plan, a wish for order in the compounding chaos of the future. And, in truth, there is great balm in knowing that good fortune will soon replace an unsettled present state. But life lived in constant expectation and desire of the future dims the present. And thus I’ve put my cards away–at least until I apply to graduate school. Puppies are like babies: needy. Also, cute. I dogsat for several families this past winter partly as a trial to see if I would want a new dog in my life. 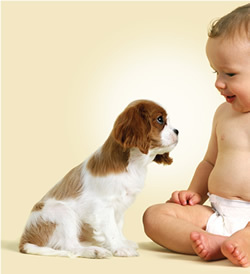 Though I loved all of the dogs, taking care of them ultimately made me not want to own one myself. As I complained to my mom, these animals were so freakin’ needy. They got me up in the middle of the night to go outside. They were insistent when they wanted food. They craved attention all the time. My mom laughed at my complaints. Remember this, she said, if you ever think about having children. Oh. Right. Besides taking care of needy dogs, I worked in elementary schools for the past two years. After school, while herding crying children onto buses, teachers would talk about their days. If one particular teacher had had a difficult day, he would invariably say, These kids are the best birth control out there. Certainly there were students at that school who would’ve scared even Angelina Jolie off from being a mom before she had her modern version of Josephine Baker’s Rainbow Tribe. What I gather from caring for dogs and schoolchildren and having an incredible mother of my own, being a mom requires selflessness and generosity in sometimes inhuman amounts. It helps if you are also slow to anger, quick to comfort, and at all times ready to defend one’s children from the ills of the world. In short, I’m currently unqualified. But someday I’d like to try to be a good enough person to be a mom. For even though the dogs and the schoolchildren in my life were exhausting, they were also sweet and loving and made me smile daily. And someday I wouldn’t mind having a daughter who loves me as much as I love my mom. Last week, the big news was of a common girl marrying her Prince Charming; this week it is the death of an evil villain. Look for news of a dragon slaying next week. Yes, Osama bin Laden has been killed and President Obama made it clear last night in his address that the successful operation hinged on intelligence–tips supplied by Pakistanis combined with the careful and highly secretive planning of American special forces. For the “small team of Americans”–Navy SEALs–who carried it out, this operation was undoubtedly one of the most exhilarating and terrifying experiences of their lives: precisely the type of operation that one becomes a Navy SEAL to take on. When I was younger I knew I would never be badass enough to train for something like the Navy SEALs, but I was always interested in the intelligence aspect of these missions. For a long time I was quite serious in wanting to become a spy. One of my favorite books as a child was an illustrated guide on how to be a good spy. 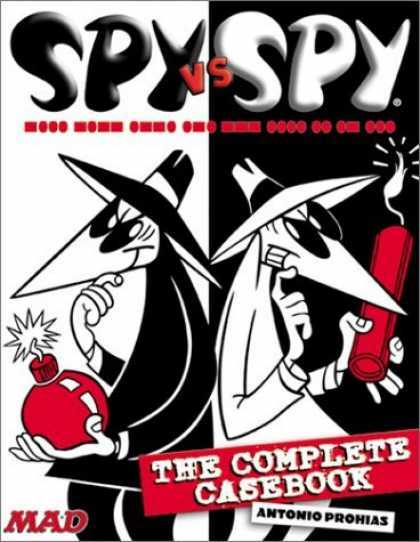 The book included information about how to pick a secure drop site and leave secret messages for fellow spies. I made my own matchbox spy kit complete with chalk and lemon juice and burnt matches to leave messages and string just in case (I wasn’t sure what case would necessitate string, but as a spy you have to be ready for anything). I made my mom leave messages for me around the house and created a drop site in the tree in our front yard. I had plans to widen the berth of my intelligence operations all the way to a nearby park, but one problem always remained: I had nothing to spy about and no one to spy on. But no matter, spying seemed like a slightly more advanced game of hide-and-seek. My espionage interest lingered long enough for me to put “international affairs” as my intended major when, as a precocious high school freshman, I filled out college information requests. I had looked at the CIA’s website by then and was intrigued by the sound of “Clandestine Service Positions.” All I needed was to study some Language of National Interest like Farsi or Pashto or Arabic and my road to the CIA would be assured. My desire to become a spy ceased immediately and permanently on February 20, 2001. 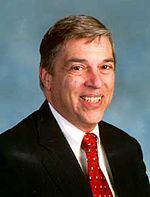 That was the day that the FBI announced the arrest of Robert Hanssen, American citizen and Soviet spy. I read a profile of Hanssen and his more than two decades of spying for the Soviets–later the Russians–and was shocked by the cripplingly lonely conditions of his life. He could tell no one in his “regular” life about his work, but he never had any face-to-face contact with Soviet or Russian handlers either. He existed in a private world unto himself, yet the information he passed along was potent: it directly led to the deaths of several Russian double agents. I hate being lonely, and I don’t keep secrets well. All I had imagined when envisioning myself as a spy was excitement, travel, out-maneuvering the enemy (either in high speed car chases, or perhaps in tense intellectual stand-offs). The world of James Bond and Jason Bourne is fabulous and exciting and completely at odds with Robert Hanssen’s world. Knowing that Hanssen’s world was the reality of a spy’s life, I lost all interest. Later, in college, a friend confirmed this harsh reality: she had made it to an advanced stage in CIA interviews but had been turned off when she realized she would never again be able to tell her family where she was or what she was doing. (The CIA makes it clear on their job application that you are not to tell anyone that you are applying or interviewing, lest you damage your future potential with the agency). Robert Hanssen escaped the death penalty for treason, but is imprisoned without possibility of parole at a Colorado Supermax federal penitentiary. He spends 23 hours a day in solitary confinement, a fitting punishment for the solitary life he lived. Somewhere in my childhood bedroom my old spy kit sits, like Hanssen, collecting dust. Ah, the irony of American girlhood. 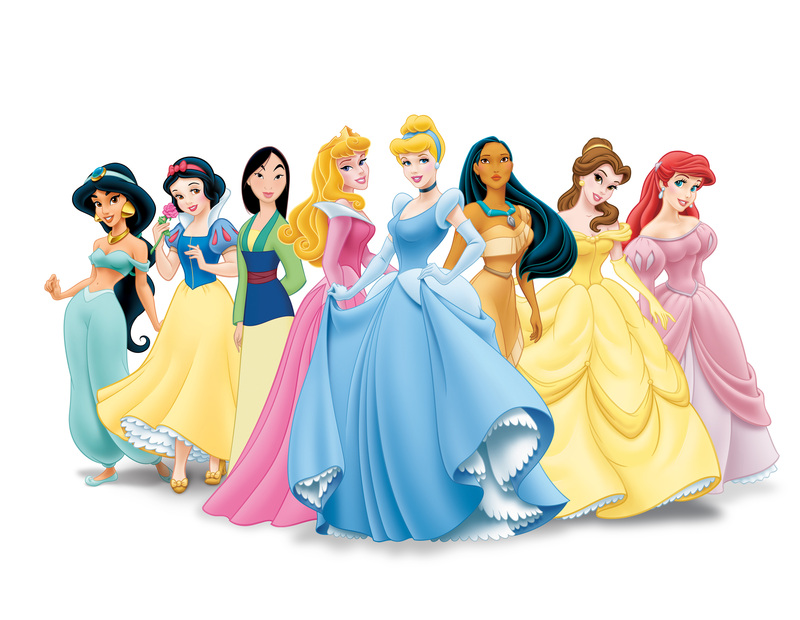 We are born into a capitalist democracy without need for actual princesses, yet our only role models are fictional Disney princesses. Cinderella and Belle, a maid and a bookish daughter of a poor inventor, respectively, are our paragons of upward mobility. The American Dream is strong in the hearts of young girls: we believe in the possibility of wild prosperity and success, just so long as the right prince falls in love with us. I had a princess birthday party when I turned 6. My friends wore their princess dresses (we all had them), we watched “Sleeping Beauty,” and we played the board game Pretty Pretty Princess. The princess impulse continued through junior high: at 13 I wore my mother’s lovely, poofy-shouldered bridesmaid’s dress for Halloween and had a raging crush on Prince William. When I confessed this crush to a friend, she sneered. You’re a commoner, she told me. And you’re American. Prince William has to marry a royal British girl (she was almost right). I was devastated at this news, but kept up hope: didn’t Disney movies teach me that love could overcome obstacles? A kinder friend of mine assured me that if things didn’t work out with Wills he would propose marriage: his family is from Palau and he is something like tenth in line for the Palauan throne. That friend and I have fallen out of touch (and Facebook tells me he’s got a seven-year-old daughter), Prince William is getting married on Friday, and Prince Harry is a royal cad, but maybe all hope is not yet lost. 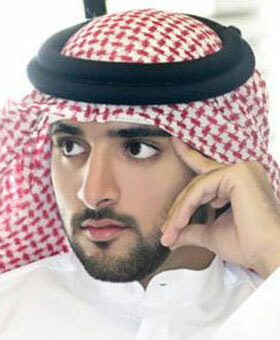 The Gloss has a helpful guide to still-eligible princes of the world and I must say that Sheik Hamdan bin Mohammed bin Rashid al Maktoum looks like a real catch. He’s the next Emir of Dubai and he’s a poet. Now that I think about it, Jasmine is the only Disney princess with a tiger for a best friend. So long American Dream, hello Arabian Dream. It ain't over til...oh. I guess it's over. When I graduated from elementary school into middle school, I thought it was about time for me to take an interest in adult things. Adult things, as far as I knew, were dull things, and dull things were often “cultural” things. I vowed to read at least one article a week in that magazine that showed up incessantly in our mailbox, The New Yorker (unlike the much more exciting Seventeen that arrived only once a month), and to enjoy our visits to the Minneapolis Institute of Arts that I’d always groaned about in my youth. To help me in my cultural enlightenment, my parents bought me four tickets to the Minnesota Opera’s Der Rosenkavalier that year for Christmas. The friend I invited wore spats and a monocle to the performance, and I wore a cashmere-blend sweater and leather gloves that my brother had brought back for me from Italy. We thought we were the epitome of class as this friend led me up the stairs of the Ordway on his elbow. But when the opera started, I think we both realized we were in over our heads. The singers were so far away, the German–which both my friend and I were studying in middle school–largely unintelligible, the “opera jokes” unfunny (the entire audience inexplicably erupted into laughter when a dwarf ran onstage to pick up a handkerchief dropped by the Marschallin). My friend briefly fell asleep in the third act. I didn’t, but the temptation was great. 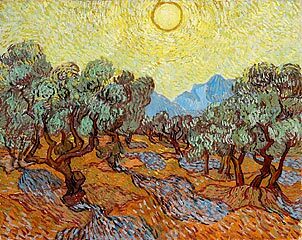 My other cultural experiments were going well: I discovered that, though there are few pictures, The New Yorker was fabulously interesting, and that I absolutely loved the Impressionist room at the MIA, which holds a Monet haystack and Van Gogh’s Olive Trees. 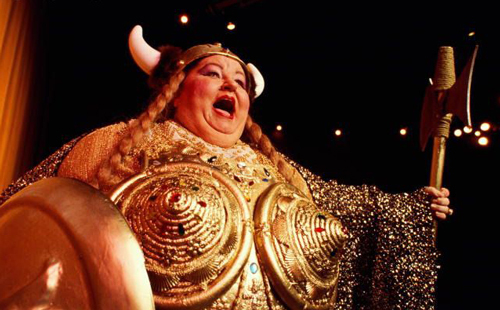 While proving to myself that I was not a cultural illiterate, I thought maybe opera was just something I would not understand. In high school, however, I began to take voice lessons. My voice teacher gave me jazz classics to sing, some Broadway show tunes, some Italian and German art songs. And she gave me Carmen. The music of Carmen is instantly recognizable to Americans who think they have never heard opera before. Advertisers and film scores alike draw heavily on Bizet’s classic, as I was reminded this past weekend while watching There’s Something About Mary (Ben Stiller’s second bathroom scene of the movie is accompanied by the Danse Boheme, a beautiful piece that builds in noise and tempo to a brilliant, uh, climax). The famous Habanera has been featured in such diverse movies as Up, Trainspotting, Magnolia, Superman Returns, and Meet the Parents and in the TV shows Clerks and Six Feet Under. About the time that I was learning Bizet’s Habanera and the Seguidilla arias, a group of singers from the Minnesota Opera’s Young Artist Program visited my high school. They described a typical day in their lives: German, French, and Italian lessons, yoga and acting classes, vocal training sessions and group rehearsals. It sounded like heaven to me. And though I am blonde, blue-eyed, midwestern American, I was sure that I would follow in their footsteps and someday sing the role of Carmen onstage at La Scala or the Met. The closest I got to that dream was singing the Habanera for my senior recital on Central High School’s stage–not exactly the Met. Though I was able to perfectly mimic the Maria Callas recording at home, I was sick the night of my recital and the aria didn’t come out as beautifully as I’d hoped. And though a kind acquaintance said I’d done well (I knew better), I realized that sickness is not an option in the life of an opera singer. One bad night and you might be booed off the stage, or out of a job if your understudy upstages you. Even Maria Callas, my opera heroine, ruined her voice too early from improper singing technique. My grandmothers loved gardening. The scent of petunias immediately brings me back to my Grandma Joan’s community pool, where she and I deadheaded the purple flowers together. Bougainvillea covered the walls of Grammy Phyllis’s Caribbean house, and she created her own hibiscus hybrids in a shade garden outside her bedroom. 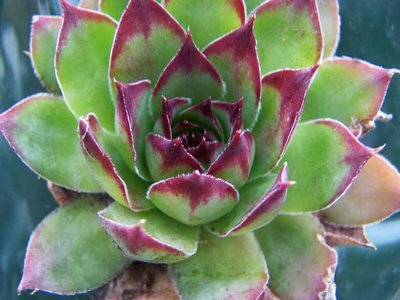 When I was about 8, I was looking at a flower catalog with Grammy and realized how these plants so closely resembled elegant dresses. I got out my sketch book and created an entire collection of flower-inspired dresses on the spot. Granted, my designs were somewhat unconventional. I didn’t understand much about textiles, and paired a lycra top with a crushed silk skirt. I also didn’t have a frame of reference for trends–my collection included styles from every decade in the twentieth century, without much in common from one dress to the next. Seventeen Magazine hosted a contest in which readers could send in their best dress design and the winner’s dress would be created for her prom. I was maybe 13 at the time (the average age of Seventeen’s readership, ironically) and didn’t care at all about prom, but knew I wanted to have the winning design. While my earlier sketches were crude, I spent days working on my drawing of a dress inspired by the Hen and Chick plant. The dress was a forest green ball gown with white and pink embroidery that mimicked the shape of the leaves and, let me tell you, this dress would have been stunning. I was sure this would be a winner. Months later, I opened my new issue of Seventeen and saw the sketches of the finalists. The runners-up were relatively bland, and the winner was a bright pink ball gown with sparkles on every available inch of cloth–the kind of dress that screams out prom. I didn’t design too many dresses after that, and have since then realized that my fashion sense is nonexistent. In middle school I had three pairs of pants in rotation: high water khakis, button-up track pants, dark denim bellbottoms (serious bellbottoms). I haven’t gotten much better. But sometimes I wonder what would have happened if that forest green ball gown had won. Would I be sewing banana peels together on Project Runway or debuting lycra-silk dresses at New York fashion week? Seems unlikely, but maybe, just maybe, that Hen and Chick dress would have propelled me to the top. Watch out, Versace.